At SouthernCare we have the opportunity and the obligation to listen, interpret, and provide the best way to improve the quality of life of our customers by exceeding their expectations and fulfilling their wishes one person at a time. The mission of SouthernCare is to assure that residents have access to a program of care that enhances the quality of life for the terminally ill and their families. Care of the whole person is emphasized by providing physical, spiritual and emotional support to all medically appropriate persons, without discrimination. Efforts are centered on meeting needs by offering highly individualized compassionate care in the person’s home or a home like setting. SouthernCare recognizes the value of dedicated staff and volunteers and affirms each as individuals, as well as members of the care team. SouthernCare is dedicated to enhancing the care of all in the community by education, and by example, serve as a symbolic reminder that life is to be lived until you die. 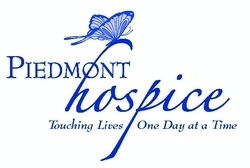 SouthernCare, Inc. is one of the nation’s largest hospice providers. Founded in 1995 and based in Birmingham, Alabama, today, SouthernCare, a privately owned company, and provides care to over 5500 patients throughout fifteen states each day. SouthernCare provides hospice services to patients who reside in private homes, group homes, assisted living facilities and skilled nursing facilities. Each SouthernCare office is managed by a Clinical Director and a Community Relations Director, each which lives and works in the area served by their office. In addition, each office employs a dedicated Care Team composed of Registered Nurse Case Managers, Social Workers, Hospice Aides and Chaplains. Volunteers also provide valuable support to our staff and our patients in the office as well as in the patient’s home.